Breakfast cobbler! 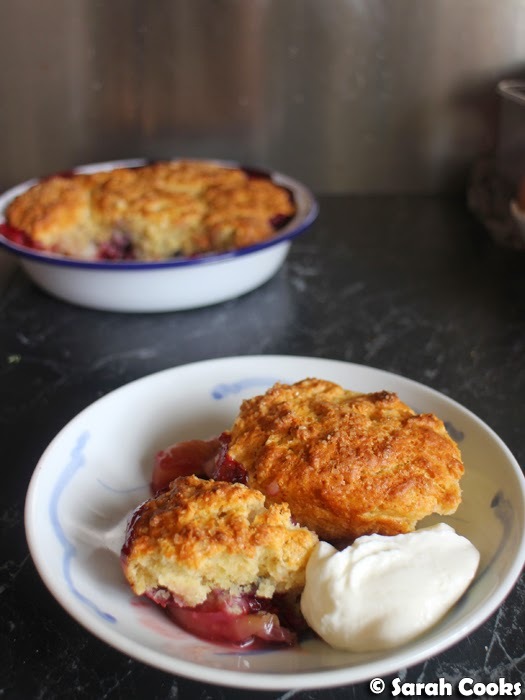 This treat of a weekend breakfast came about because I had some buttermilk in the fridge, some peaches and berries just edging towards overripe, and a hankering for something oaty and delicious. 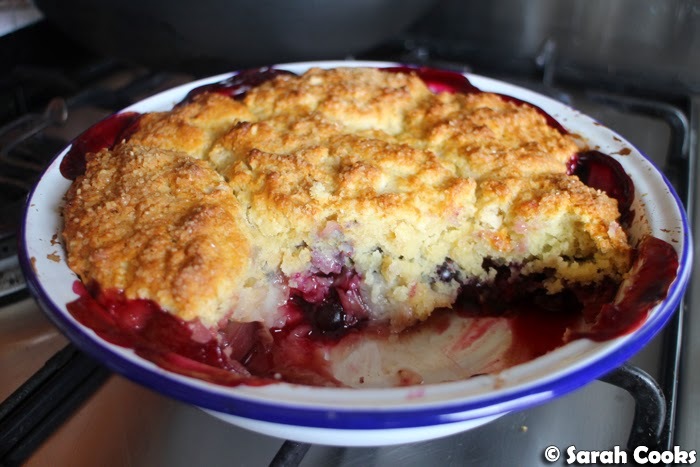 Cobbler, if you don't already know, is a homey American dessert, kinda like a crumble: fruit topped with biscuits (what we know in Australia and the UK as scones), and baked. This one is made breakfast-appropriate with the addition of oats to the biscuit topping, and keeping the sugar in check. 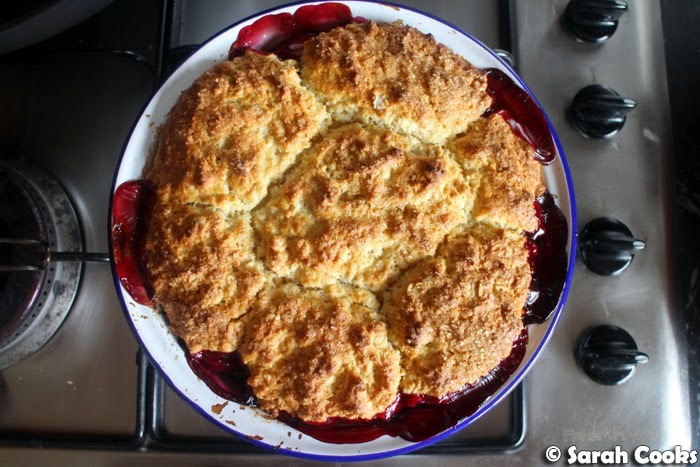 It's like scones and jam, all baked in one easy dish. I adapted this from a recipe from Joy the Baker's Homemade Decadence - I know I talk about Joy the Baker a lot, but she is just so dang awesome! Get on the bandwagon! 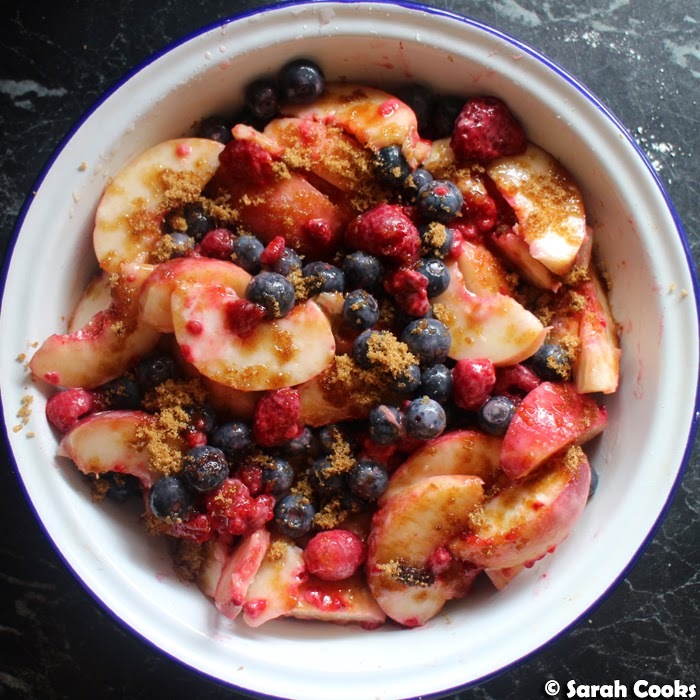 Here's the base - sliced white peaches, blueberries and raspberries, mixed with a little cornflour, brown sugar and a pinch of salt. These go into the oven to start cooking while you make the (easy) topping. ... and then stir in your liquid, in this case, buttermilk, to make a dough. 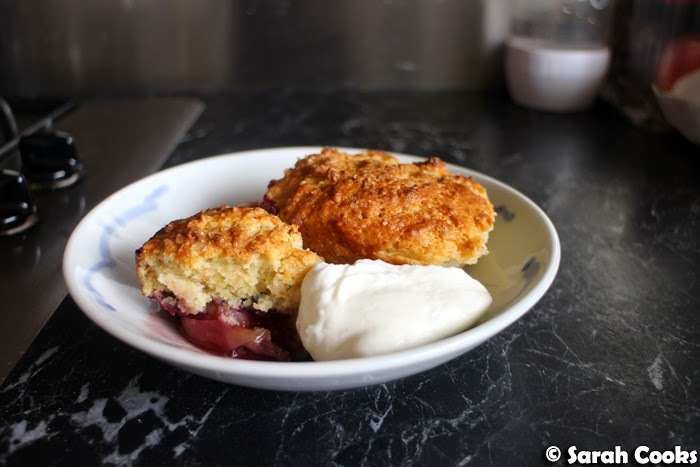 I love how the top is crunchy and brown, the middles are fluffy, and the bottoms of the oaty buttermilk biscuits meld into the sticky sweet fruit filling. If you wanted to go all-out, you could serve it with double cream (or vanilla ice-cream, live a little, why not? ), but I think it's lovely with a generous dollop of tangy Greek yogurt. Obviously, the cobbler is nicest fresh, but I found that leftovers reheated well in the microwave for quick breakfasts through the week. Chop the peaches into eighths (no need to peel, unless you really want to), and place in a mixing bowl with the blueberries and raspberries. Add the corn flour, brown sugar and salt. 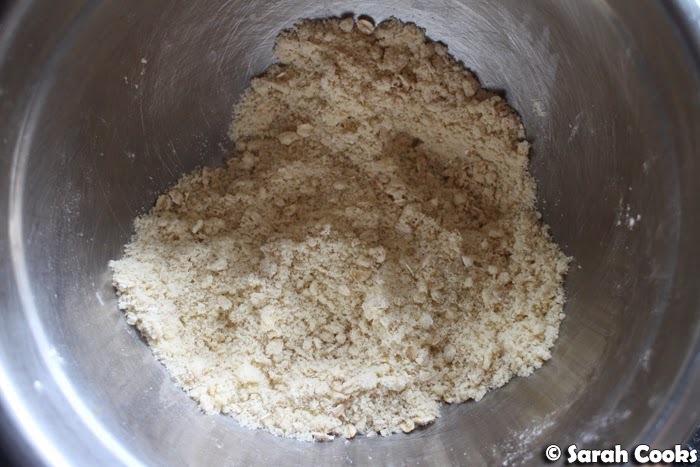 Stir gently until the ingredients are combined and the cornflour has pretty much dissolved. 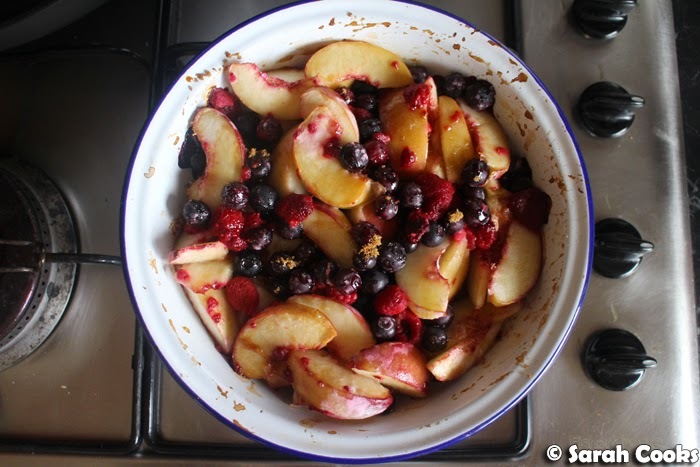 Place the fruit mixture into a 20cm pie dish, and then into the oven for about fifteen minutes. 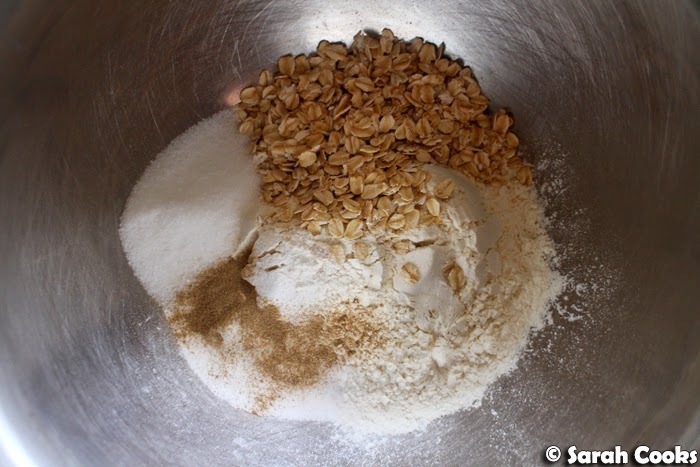 Meanwhile, for the biscuits, stir together the flour, rolled oats, sugar, baking powder, baking soda, cardamom and salt. 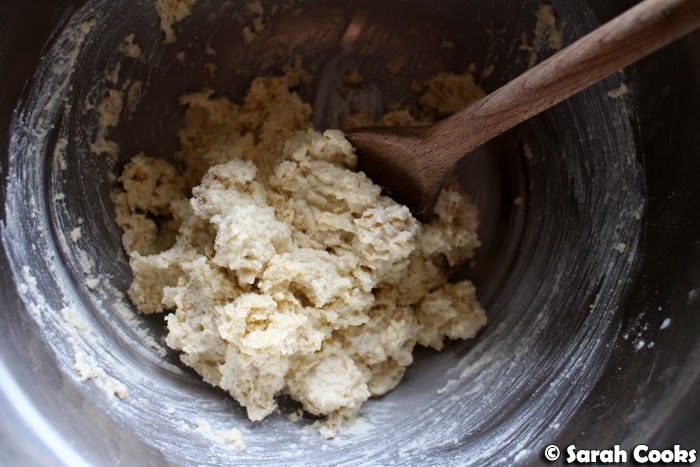 Cut the butter into small pieces, and using your fingertips, rub the butter into the dry mixture until it is evenly distributed and only small flecks of butter remain. Pour in the buttermilk and stir gently to combine. 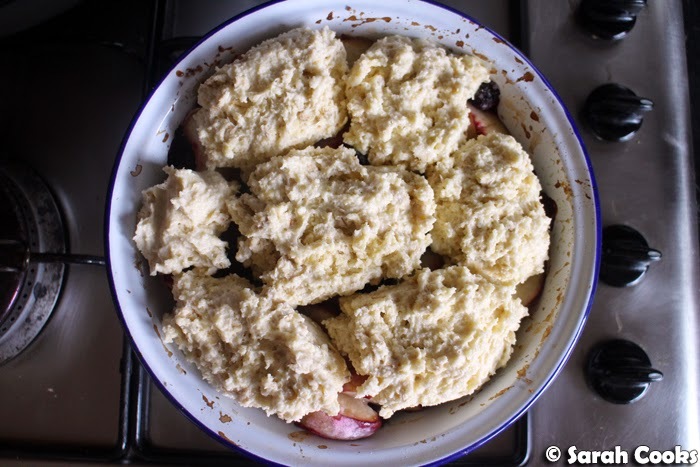 Spoon quarter cupfuls of the biscuit mixture over the cooked fruit, then sprinkle with the demerara sugar. Bake for 25-30 minutes, or until the filling is bubbling and thick, and the biscuits are golden brown and cooked through. Oh golden perfection... I love the idea of the soft fluffy buttermilk biscuit topping instead of the "crumble" type top I'd usually use, looks gorgeous! Ermahgerd this looks good! Bookmarking this recipe for breakfast, lunch and dinner!